The music industry is packed with so much talent. Genres such as R&B, Hip-Hop, Pop, Rock, Country make up for the majority of mainstream music. Sometimes we see artists come and go….. one hit wonders is the correct term for this. At times it seems like overnight success. What people (including myself) fail to notice is how hard these artists have worked to even get some sort of recognition. To us it may seem effortless, to them it was hard work and dedication for years… perfecting there craft. I manage a music artist here in Ottawa. I won’t say the name or flood it everywhere here because I do not want this to come off as a marketing ploy and advertising platform. My artist has been working for over 10 years. He has great visuals, branding, filled with charisma and stands out. He is unique, makes creative songs and appeals to a certain market. It cost my artists a fine amount to get on the front page such as worldstarhiphop.com (a hip-hop website with high traffic). We gained a lot of contacts, build relations and networks but it still is not satisfying. We understand how the music industry work and it truly is about who you know… but ofcourse we can’t take any credit away from talent. To be successful, you need to me a marketing master… online and in the real world. Posters, handouts, street teams giving out mixtapes, fliers for upcoming performances, collaborations… It requires a lot of hard work and effort and I have been apart of this movement to witness it myself. Not everyone wants you to succeed, you have competitors just like any other business…. you also have to work with people you really do not want to. Worse of all is that you have to essentially provide your own funding until you finally get recognition. This is very costly and ofcourse takes away from the artist spending time on there craft (if they were to get your typical 9-5). Music should be the priority as it is ultimately there career path. It gets more difficult as artist want to remain independant but do not have the budget to continue making music. They end up signing to a major record label and get screwed once they give them an advance (a payment upfront for music expenses) and then take the majority of earnings from the artist. Luckily, here in Canada we have government grants for music. Canadian governments promote the creation of music by offering loans to artist (to make there music) in which they do not need to pay back. This is a great platform and does greatly increase the chances for success in the music industry. We also have to look at local performances. Before you engage international projects.. you have to get recognition in your own city. This can be done by intending events such as Bluesfest… an Ottawa music festival which has a lot of big names perform. This gives a chance for building a network as well as local fan base. Not everyone is going to like or appreciate your craft. Music is a very interesting.. language. It speaks to everyone differently. Some people are more open and some have one specific genre that they will understand. Personally, I appreciate all types of music. I can see the talent put in with all genres.. whether it is the digital instruments tweaked to perfection to create a relaxing melody… or a pop singer creating a song that relates to relationships. How many have you been actively involved in the music industry or have ever been involved? By now… we all have heard of Mixed Martial Arts (MMA). You know, two highly trained male athletes(now females) stepping into an octagon and fighting for there life. A lot of blood, sweat and tears that are displayed in the cage. So when I watch MMA, most notably fights hosted by the UFC… you will notice a few things. Each fighter has there own style of fighting… whether its wrestling, boxing, Brazilian jiu-jitsu etc.. These two fights will fight in there until one gets knocked out cold, reaches submission.. but if none of this happens it ends up getting judged based on points on take downs, strikes landed, and the aggressor. Basically the same way boxing is judged. MMA fans are very passionate about the sport…Las Vegas packs crowds and sells out arenas whenever a big event is on. In Canada, specifically in Ontario.. there was a law around the violent sport that surrounds MMA. They wanted the fighters to have safety measures such as thicker gloves to reduce pressure from the punches.. as well as head-guards. When I watch a UFC match, the fun in it is the punches are much more close to a fist since the weight of the gloves are so light. I remember a time where there was amateur matches locally and we had to intend them in Gatineau-Hull.. in Quebec because at the times it was banned in Ontario. Now what we have is a new trend. Taking a page from fake wrestling… there is now an international MMA league which puts together a team of 5 guys against another team of 5 guys. Watch this video over here for reference. It is absolutely crazy but very entertaining and sometimes humorous. I can only imagine this to be even more bloodier and can result in very dangerous matters, especially when these are all trained fighters. People thought UFC was a street brawl.. this took it even further. It can end up being 3 against 1… 4 against 2.. and so forth. I do not see this becoming a recognized sport in the future… especially in North America where they had problems with 1 vs 1 MMA. When UFC first started off… it was known as the “bare knuckle sport”. Fighters would literally fight like it is with no rules… just bare fists. You could even stomp the guy while hes on the floor (something which is banned now because of the chances of injuries). This leads me to ask… what would people do for money? What would people do for entertainment? Should there be restrictions on leagues such as the 5 vs. 5 MMA matches. It seems these forms of entertainment are pushing it to the limit and can sacrifice serious injuries, but at the same time they are extremely entertaining. One of the most biggest applications for smartphones, Uber, has been making headlines all around the world. It is not only one of the biggest apps… it is actually changing the way transportation works. Uber is a driving service that is provided to people using there proximity. The recent problem that has been facing all the taxi services around the world is that these Uber drivers have bypassed all regulations that have been placed for years. Uber drivers do not use taxi insurance, and they also do not pay for the rental of a “taxi plate”. Taxi plates in Ottawa range from $1200 – $1600 a month… that is a lot considering you are still paying gas as well. 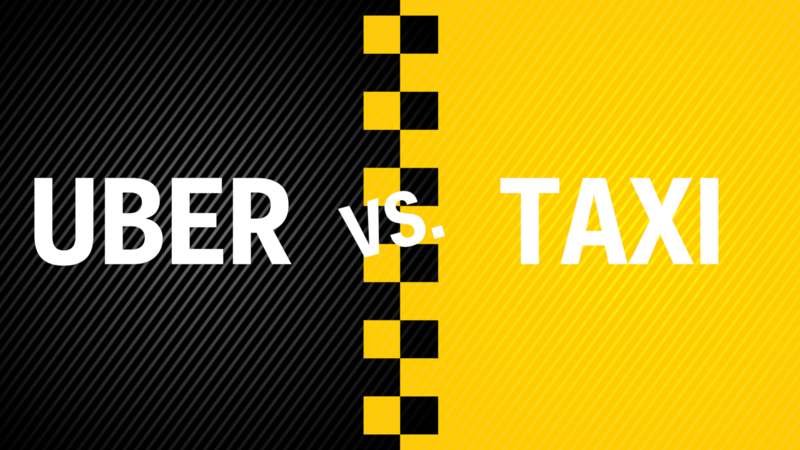 Why would anyone drive a Taxi vs. Uber? Let us go more further into this…. if one wanted to become a driver for Blueline, they have to pay for a course and it takes a couple weeks to get your proper licensing. Uber… all you need to do is have insurance, and download the app. Simplicity always wins over complexity when it comes to business. Taxi drivers are now complaining and protesting against Uber drivers. It is driving there business down a lot as Uber continues to grow. Some taxi drivers are even becoming Uber drivers instead… some are even doing both, which is breaching the general taxi contract (you are not allowed to operate another taxi service when you are active with another). The problem with these taxi drivers is that they are no united. In Ottawa for instance, I notice Capital, Blueline, Airport… these are all separate companies. Separate companies with a common goal in this case doesn’t matter. The fact is these companies are local to Canada. Uber is worldwide. Uber is available in more than 50 countries.. under one entity. They are worth billions, they operate internationally, and they can afford the best lawyers. A small taxi service cannot compete with giants like Uber due to lack of funding. Uber has been known to find loopholes and continue to operate legally. What hurts these taxi companies more is that they are using vandalism, and becoming physical to make there statement. We always see the news filled with taxis following Uber drivers and kicking there cars, or swearing at them. The taxi drivers are disappointed because the city is allowing them to continue to operate despite the lack of insurance, and the licensing. I personally never take an Uber but I heard mixed reviews about them. Some say it is much more quicker and cheaper than a regular taxi… and some say it was the most worst drive ever. Some felt in danger when they were in the vehicle and some always had to use a GPS to find out the location whereas a taxi driver would know the shortcuts. The argument for tax purposes with Uber does not work. Uber only accepts credit card…. no cash or any other forms of payment. With credit card only payments, there bank accounts are easily monitored to see cash flow. The cons of being a general taxi driver is mainly the costs…. it costs over $200,000 to own a taxi plate.. and minimum of $1200 to rent one in Ottawa, and then you have to do a taxi licensing test as well. I do not see Uber going anywhere or have there business declining. They are already working on other projects and have released UberEats which is a service that delivers food from restaurants which do not usually deliver. The people behind Uber have big goals and there worth continues to grow as time goes on. In the past couple of years… there has been a recent trend in the entertainment industry. Now, one would never correlate being anonymous to being famous. This has definitely been the case for people in the entertainment industry, most notably in the area of music. To me, being anonymous is keeping hidden. Being a secret, remaining confidential… the total opposite of famous. Famous is well.. what we consider celebrities. Famous is being most notable by everyone, popular… recognized. Music artists use many ways to advertise themselves. They use memes, strategic promotion and sponsors, dramatic things in award shows such as Madonna and Britney Spears deciding to kiss on stage or Justin Timberlake deciding to rip open Janet Jackson’s top at the Superbowl. There has been a recent trend that has working in favor for artists in the music industry and that is to be anonymous. Sia is an Australian songwriter and singer. She is known for her incredible voice in songs such as chandelier… but she is not only noted for her voice.. she is known for her hiding her face behind wigs and sunglasses. If you watch every video of her, she has a similar theme in it… she is sometimes featured in her videos and when she is… she is covered. Just like her award show performances… she is also hidden. She remains anonymous and this has worked very well for her. People are always wondering why she does not show her face. Why is she so hidden…. and how does she actually look. People want to know what is not known… it is a fact. It keeps her fresh as an entertainer and it always keeps people on there toes. Now if you browse the internet you can find pictures but they are very rare as in videos she is covered. I assume she wants people to focus on her voice which is because she is in the music industry. I believe Sia would not get the same recognition she has if she did not cover her face. Another very popular artist who has followed this same trend is The Weeknd. The Weeknd is an R & B singer who has won Grammy’s for his hits. The Weeknd started off his career by launching a YouTube channel filled with only his music. No videos featuring him.. no pictures of himself anywhere. All people did was recognize his voice. He gained a big fan-base just by releasing music… anonymous. People always wondered who is behind that voice. What is his ethnicity… is he fat, skinny, tall, small. The Weeknd was insecure about his look and believed that his look was not meant for the music industry. He thought people would not accept him for who he is because he looked different. He had different hair, and a different style. This in turn had a positive effect as well… it kept people wondering how does he really look and will he ever reveal how he looks. He decided to reveal his look eventually and that is when his records took off. He gained extreme popularity when he finally revealed himself and it worked out to his benefit. People recognized him as a unique artist, and some appreciate his appearance and how different he is. Many people can relate to him as he shared his insecurities and finally got past it. This in turn created even more of a fan-base as this is a common problem. People enjoyed his music because it was different. He would create songs that were very uncommon and were about things most of the music industry are to nervous to create. It is only right that his look matched his talent as it was different as well. I personally enjoy his music and I know many people of different ages, sexes, cultures do as well. It is very interesting to note that I myself am in the music industry and I can appreciate the fact that even people who listen to different genre’s can appreciate his talent. As we can see here, being anonymous created a positive effect for both Sia and The Weeknd in the entertainment industry. As time goes on, there needs to be different ways of advertising and marketing and what worked before… won’t work now. Bitcoin: A Threat or the Future? As many of you may have heard, Bitcoin is a digital currency which can be used to purchase goods online, transfer money, or to store as a commodity. Bitcoin has made a lot of headlines over the past 5 years, with the “creator” of it remaining anonymous. It has rivaled banks because of its cheap and speedy transfers. I have used Bitcoin in the past and was surprised at the speed and cheap cost of transfer. First of all, it takes about 1 hour to send money to someone. As long as the person has a Bitcoin “address” (similar to a bank account number), than they could receive these funds. Secondly, the amount you can send is unlimited. Unlike the traditional wire transfers that banks use, there is no questions asked… whether it is $10 dollars…. or $1000000 dollars. Many people including myself agree that if the money belongs to you, you should be able to do what you want without any one questioning you the reasons. Bitcoin allows you to be your own bank and gives control instead of allowing an entity do that for you. It has challenged credit card companies since you can purchase goods online discreetly if needed. Now personally I never ordered any “discreet” items. I would think this would be useful for an adult couple who are hiding there “sexual” desires from each other lol… On that note, I did order a pair of shoes from a website for a tester. The problem I see with Bitcoin is that not all major stores accept it. When that happens, one would have to use a transfer service (which costs a fee) in order to convert your bitcoin into a credit card purchase. When I did my purchase, it cost an additional 5% of the total value of the item. Everything went smooth other than that and the shoes arrived just as a normal, successful online transaction goes. In my opinion, once bitcoin becomes more widespread, companies will have to store incorporating it as part of their payment methods in order to stay competitive. Bitcoin Chart from 2012 to 2016. In 2012 it was worth couple of dollars. 2014 is when it hit its peak of over $1000 (USD). Bitcoin… here is a yearly chart. Currently, Bitcoin is valued at $556 CDN. Bitcoin mining farm in China. Must cost a lot of electricity. Now if you ask me, Bitcoin sounds like technology that is here to stay. It has many pro’s…. but obviously every good thing can be turned to a bad thing. Governments are now getting involved trying to regulate it because they see it more as a threat than anything else. I mean sure, it is creating employment opportunities through their exchanges, and it may increase overall sales of products online. The problem is…. the governments like control and they do not like something such as bitcoin… which basically has no entity behind it other than the “people”. 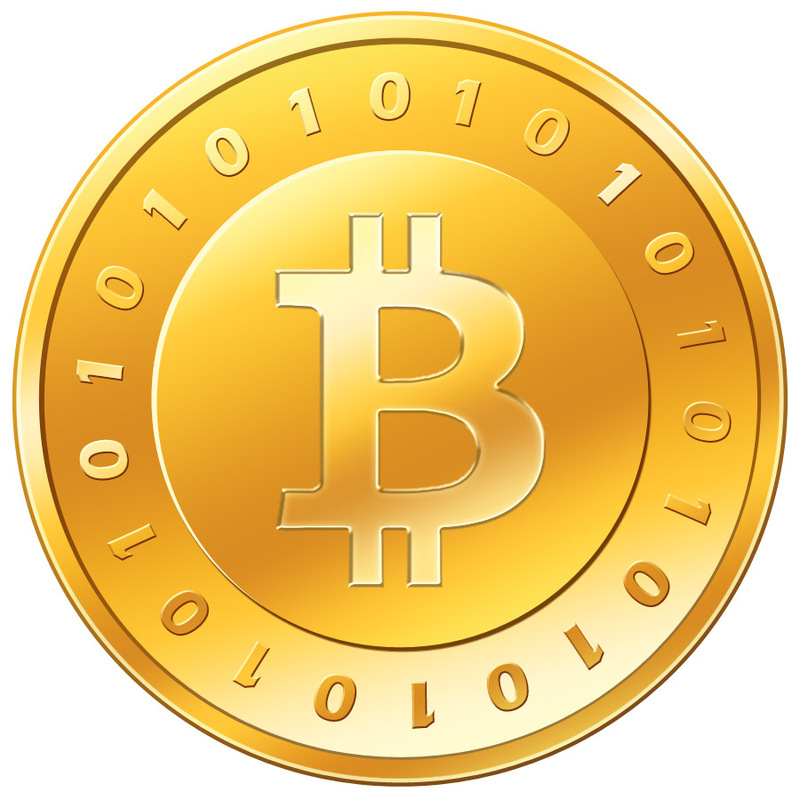 Bitcoin is a peer-to-peer network, no one owns or controls it. When no one owns or controls it, that leaves freedom. Bitcoin received a lot of buzz in October 2013, when the owner of a website called Silk Road was busted. Silk Road was a place to purchase everything, and I mean everything. Any type of drug, fake identification… stolen credit cards… It was a black market eBay. Their method of payment was of course Bitcoin since you can remain anonymous using it. There were other websites that used bitcoin to purchase illegal firearms. Bitcoin has received a lot of criticism due to the same reason why people love it so much. People believe that bitcoin is contributing to online crime as it is a payment method that makes it convenient for illegal transactions. Since bitcoin is so discreet this leaves it as a possible threat in the future. It is a threat for the tax-man as well. If one was to use it as a payment method for their website… the storage of funds in your Bitcoin account remains discreet. It is like having an off-shore account. It is very difficult to track the owners of bitcoin accounts due to its structure it was built on. Although it is quite interesting that you can literally see every transaction ever recorded using Bitcoin… we just don’t know who is the sender or recipient. Personally, I believe Bitcoin should remain unregulated. As a digital currency, all of its reasons for being such an innovative technology is due to the anonymity, the convenience, and less expense. These savings are passed towards users of bitcoin. Technology is always evolving and it leads to more innovation. Without the internet, we wouldn’t be able to communicate online through sites like WordPress. Justin Bieber would have possibly never been found if there was no YouTube. Online crime has been happening since the internet was made. I believe the pro’s outweigh the potential con’s. Social media is more widely known as a digital platform to interact with a community from wherever you are in the world. Some socialites are able to turn hobbies they have into careers…very profitable careers. Instagram is a social media app which allows people to post pictures and videos of themselves. A recent trend that has been going on is in the fitness industry. Personal trainers have the ability to advertise themselves using their body pictures (usually before and afters) to show the progress they have made. As a result, many people with the same goals become inspired and start “liking” pictures, and following them (subscribing to their page). These fitness models figured it would be profitable if numerous people follow them because of their interests in getting results and making a change for a healthier lifestyle. They usually have their Instagram page setup so that you can see the email to contact them for “online personal training and nutrition”. So what I did was… purchase a monthly package for $4.99 USD. What they essentially did for me is.. after I sent them a payment (usually in the form of Paypal), I give them my current stats such as height, weight, age… and then my fitness goals. The personal trainer now customizes a workout schedule for me as well as a meal plan. It didn’t seem like anything new, but for the price it is worth it as it is worth all the research you would do on your own. All of this is done online…. Not very time consuming, no meeting up… just answering questions via email and that’s it. A very profitable way for the personal trainer to extend his reach to clients, as help other’s for a much cheaper price than a physical personal trainer. Personally, I can respect anyone who takes there time out to do this as it is a positive change and who better than someone with proven results. After all, with all due respect to scientists who study and research about bodybuilding, I would personally want someone to look how I would want to look. Who knows what the aesthetics of scientist who conduct the researches about the quickest way to burn fat, or gain muscle. I almost feel like it’s a dentist lecturing you about oral care when they have rotten teeth. Lol, im only joking… sincerely. For every ying… there’s a yang… for every up there’s a down and for every honest business person, there’s a Donald Trump… my bad, I meant fraudster.. Social media for the most part is thought of as an advertising platform, a way to communicate with others, but we can’t take away that it can be a platform used to do negative things as well. For the small part, social media can be used to slander people’s names by spreading rumors, or saying rude comments about one’s appearance (kind of like what I did above about the stigma about the dinky looking scientist). 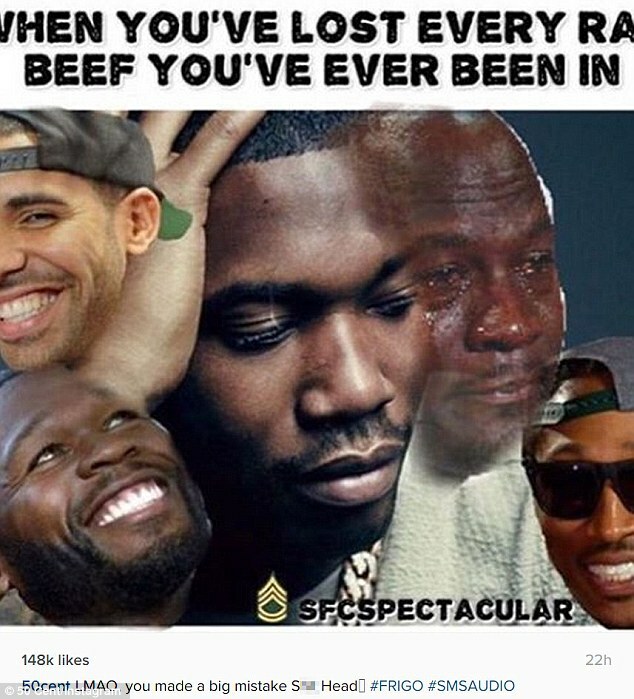 Hip-hop artists tend to start online feuds and then create memes for each other that trend worldwide, causing a snowball effect of generating widespread hateful memes for the artists. I believe any publicity is good publicity… so whether bad or not, it is giving attention to the topic. That is on the small scale of things where social media is used for something negative. This however, does not bother me one bit, it is entertainment. What really concerns me about social media… is the fact that fraudsters are finding very slick ways of tricking people. What I mean by tricking is that they are literally robbing people online for… MONEY! Kickstarter is a peer-to-peer social media website which allows people from all across the world raise funds for a “project” (crowd funding). In turn, the people who fund the projects get rewarded back something such as say… their name being featured in the credits list of a documentary. Seems positive for the most part… I am all for assisting projects that need help financially and believe this digital platform will continue to evolve as it is extremely useful. Unfortunately, peer-to-peer crowdfunding websites can be used in disgusting ways…I remember reading on a women who basically tricked people into donating money for her supposed “cervical cancer”. Hali Etie staged that she had Stage 3 cervical cancer and went all out to market in which she ended up with $3000. When I read this article again… it sincerely bothered me to see what people will go through all to make a fraudulent claims. This is the type of behavior that I do not support. It is morally wrong to make to profit off fake cervical cancer when it such a common problem and there are real cancer patients who are in need of help. In my opinion we need to find ways to stop these fraudulent claims or else more scammers are going to find lucrative ways to get what they want. Social media can be used for good and for evil. For the most part… I believe it is used positively and has helped many people launch careers. On the other hand, social media can be like a golf club in the sense that it is most commonly used to hit a ball, but can also be used as a dangerous weapon to crack someone’s head open. The scammers will find their way to exploit these platforms. The idea of these social networks is the convenience of opening an account and networking, or let’s say in the case of crowdfunding..the ease of getting your project funded. What steps can social media platforms such as Kickstarter take to avoid fraudulent behavior WITHOUT taking away the quick “setup” or convenience of starting a crowd-funded project?